Volatile organic compounds are organic solids and liquids which are emitted as gaseous or vapor form at room temperature. They include other carbon based gases with the exception of carbon dioxide and carbon monoxide and are known to emit their gaseous forms at temperatures as low as room temperature. They differ from these gases because they have a more complex bond with the carbon molecules they are bonded with, and are a significant risk to indoor air quality (IAQ) in any enclosed space, mostly because VOCs are hard to detect. VOCs include a wide range of chemical compounds including man-made and naturally occurring compounds. The VOCs within homes are most common after the construction of the house, but they could also be present in lower levels through using aerosols and cleansing agents in home environments. Because the effects of these chemical contaminants are long term, it has become increasingly difficult for scientists to measure. So far, however, research has shown significant impact of both human and environmental health to a significant level. For humans, the effects of VOCs reveal themselves mostly in a syndrome known as sbs symptoms. These symptoms manifest themselves with time, and are usually associated with the feeling of nausea, chest pains, and headaches when inside a room. SBS symptoms have, with time, been narrowed down to VOC exposure in the forms of construction material which outgasses the chemical contaminants. Limitations in indoor maintenance systems such as HVAC systems enhance the development of the syndrome within buildings. Fuels are also counted as VOCs as they are made of organic compounds. The syndrome seems to have a set of symptoms which are listed online. There are many factors to consider when analyzing VOC exposure within environment. 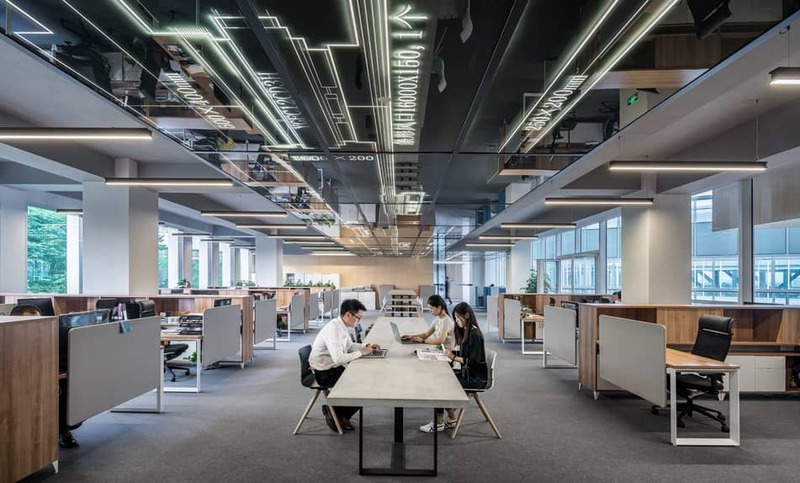 For new buildings, the levels of VOCs may be high thanks to the abundance of new materials such as paint, furniture, carpet, among other items. That’s why new building have an easy-to-recognize smell, like new cars. Some office equipment may release forms of VOCs to the environment as well, especially those that use compounds with VOCs emission potential. The humidity of the environment is another significant factor to consider when measuring the VOC levels within indoor spaces. Studies have shown that increased humidity and temperature raise the volatile nature of VOCs and cause more gas emission. The correlation between temperature and the emissions of VOCs is known as the outgassing effect. Seasons are also a factor to consider when determining the prevalence of volatile organic compounds in houses. There has been studies that suggest winter is the season with the highest VOC emission (3 or 4x concentration) within houses since proper ventilation is usually minimized. Now, how to get rid of the nasty chemicals? As earlier mentioned, these VOCs are more commonly found within indoor environments. For houses, they comprise of items that are used almost every day to perform some kind of task. Because of this, the VOCs volumes in homes tend to be a bit higher, and make homes the start of sbs unless ventilation standards are raised within that household. Several studies have actually shown an increase of up to 2-5 times the VOCs levels in houses compared to the outside environment. There is also a potential for the levels to rise up to 1000 times the level of the outside environment depending on the activities being carried out within the house. VOCs prevalence within outer environments is not to an alarming level yet. The effects are highly dependent on their levels within a certain area. The long term effects, however, are as devastating to the environment, as some of these gases are the main causes of greenhouse effect. Further exposure to these gases may cause other disasters that have not yet been foreseen. VOCs can also contaminate water from natural resources and make them unfit for drinking. One way of reducing VOCs emissions within homes is by taking control of the sources of VOCs within environments. By reducing the number of VOC compounds, families can avoid health problems brought around by the same. An easy way to do that is to control humidity levels to prevent mold, which flourish in highly humid environments. Inadequate ventilation must also be prevented at a high level. In homes, deciding on ventilation systems depends on factors such as the size of the home. Smaller house families can opt for controlling how frequently their windows are opened whereas those in larger families can invest in a hvac system. Identification of VOCs may sometimes be difficult within homes, the reason being they are invisible and odorless for many of them. It is best to seek support and guidelines from a local health organization or to get a professional air quality monitor to make sure pollutants remain at safe levels.